A mother and her autistic son suffered severe distress after a council placed them in temporary accommodation below antisocial neighbours, the local government and social care ombudsman has found. During the two and a half months Miss X and her autistic son, Z spent in the property, they were found to be “exposed to noise and threatened by their neighbour” who lived in the flat above. This caused Z, who was forced to move in with other family members, great anxiety and had negative effects on his behaviour. In October 2014, Brighton and Hove council accepted it owed Miss X the main housing duty, but the family was moved into temporary accommodation leased from a private landlord due to social housing pressures and put on a waiting list. When the lease expired, the local authority placed Miss X and her son in a downstairs flat in the neighbouring council. Before moving into the new flat, the mother viewed it with an officer from the temporary accommodation team. Miss X knew the property would not be suitable for her son after hearing a lot of noise from the property above. The officer also noted the neighbours “played very loud music”, but the council decided to proceed with the offer. An advisory contacted the council on behalf of Miss X after the family had moved in, requesting a statutory review of her accommodation. This prompted the council to carry out a suitability assessment, which concluded the property was not suitable for the needs of Miss X and her son. During the assessment, the mother said the flat was unsuitable as the people upstairs “swore a lot” and there was no room for her son’s sensory equipment. This meant she had to pay for storage. In the months that followed, the housing officer discovered there was a nine-year history of antisocial behaviour and noise nuisance from the occupants above. The council also found there had been a noise order issued to the tenants above in the past 18 months. Despite this, it continued to keep the family in the property as it waited for other accommodation to become available. After further disruption, Z was forced to stay with his grandmother because the noise levels and stress were affecting his behaviour. This prompted Miss X to write to the council stating the move had made her son constantly anxious and had led to him wetting himself. She added that his behaviour become more difficult to manage and he was self-harming by hitting and biting. The family were transferred into more suitable accommodation two months after moving into the flat. The ombudsman concluded Miss X and her son “suffered a serious injustice” due to the council’s failure to provide them with suitable temporary accommodation. 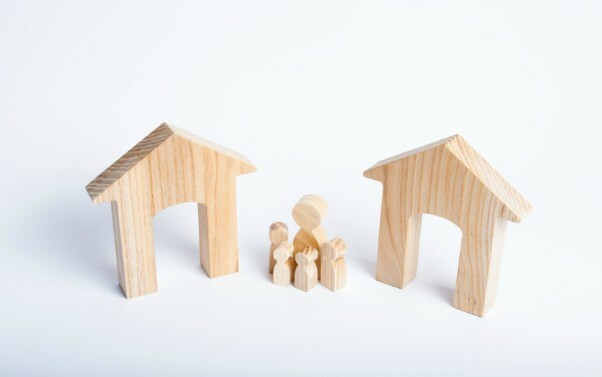 Having “ample evidence” of the needs of the young child, the report said Brighton and Hove council should have known from the outset that the temporary accommodation arrangements would be unsuitable. It added that, had the council followed up the serious concerns about the unsuitability of the property and made enquiries to the neighbouring council shortly after the viewing, Miss X and her son “would not have been put in this situation”. The report criticised the council’s reliance on “the property owner’s assurances” that the flat was without problems and “should have done more” to investigate after concerns were raised. Brighton and Hove council has apologised to Miss X and has agreed to pay her £750 to recognise the injustice caused to the family. The council has also agreed to pay Miss X £100 for the six months delay in reimbursing storage charges and a further £150 to recognise the time and trouble caused by the delay and poor handling of her complaint. Councillor Anne Meadows, chair of the council’s Housing and New Homes Committee, said the council were “extremely sorry” for the distress caused to the family. She added it would be take action to ensure lessons were learnt and explained the circumstances around the case. ‘Care never leaves you’: how can we better support care-experienced adults?